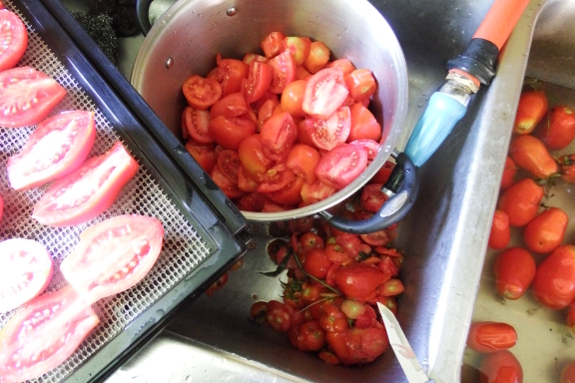 Half a bushel of tomatoes went into the drier or soup pot yesterday. And we have half a bushel of tomatoes with which to repeat the endeavor today. Hollywood sun-dried tomatoes and harvest catch-all soup, here we come!